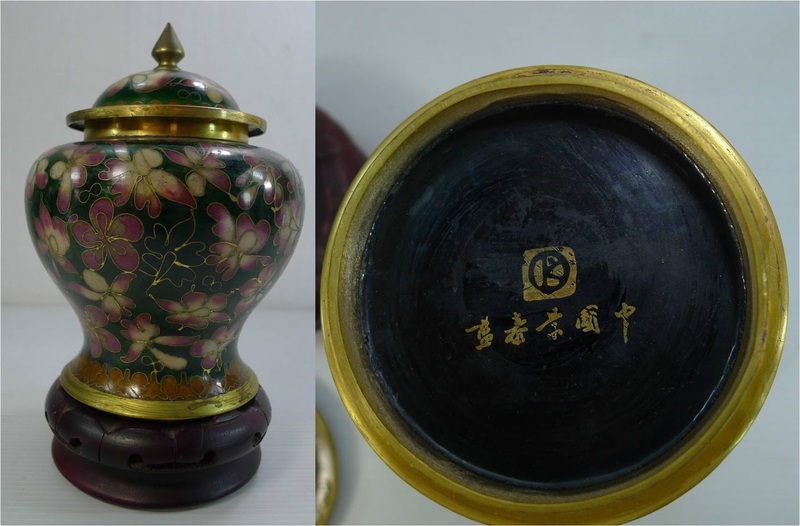 Pieces found in online auctions sometimes have an intact trademark stamp – a circle enclosing a capital letter “K”, accompanied by “Made in Taiwan” or “Made in Republic of China” or a string of Chinese characters either alongside or as a surrounding circle. Vendor stated, "The bracelet on the left is stamped Made In Taiwan. The bracelet on the right is stamped Made In Republic of China." Published in 1975. "Recent import from Taiwan." The round pieces are buttons. 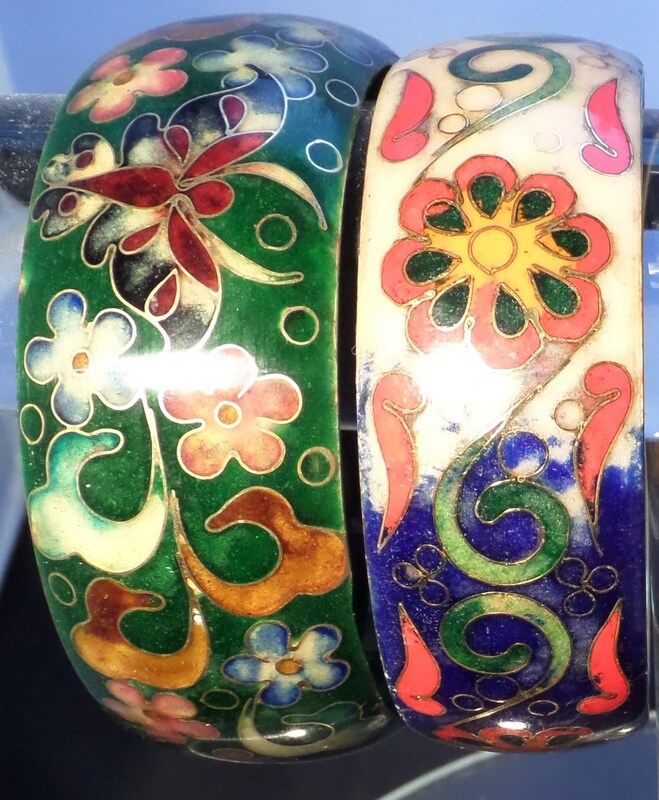 One eBay vendor described one of these bangles as “German modernist from the 1950s,” but a Google images search on Scholtz & Lammel (German cloisonne design from the 1950s-60s) reveals only a very slight resemblance between the German bracelets and those from Taiwan – i.e., the German logo is an “S” inside a circle, and the bracelets are often made in linked cloisonné rectangles. An Internet search revealed a very similar trademark registered in 1978 for “Kloison K” by Robert Kuo in Beverly Hills, California. Born in Beijing, he moved with his family to Taiwan in 1947. Kuo grew up in an artistic environment. 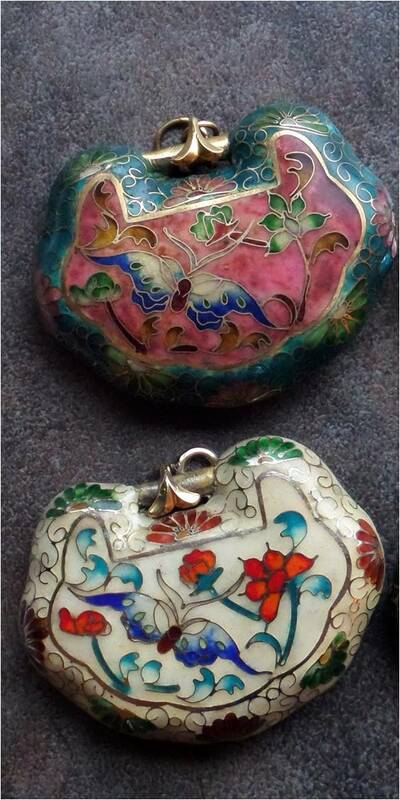 His father, an art professor and Chinese watercolor painter, started a cloisonne atelier where Robert became an apprentice at age fifteen. Although he never engaged in formal art studies, Kuo gained technical expertise and learned about decorative tradition from "hands on" training. 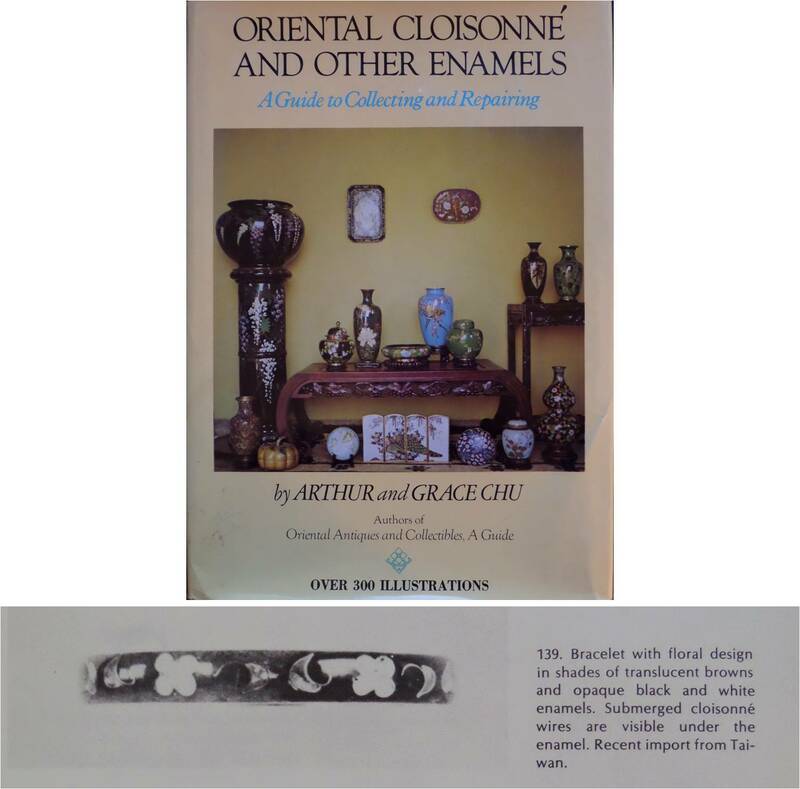 As he mastered each of the steps involved in cloisonne from preparing copper bases to enameling and firing the kilns, Kuo absorbed all the basics that were to serve him throughout his artistic career. 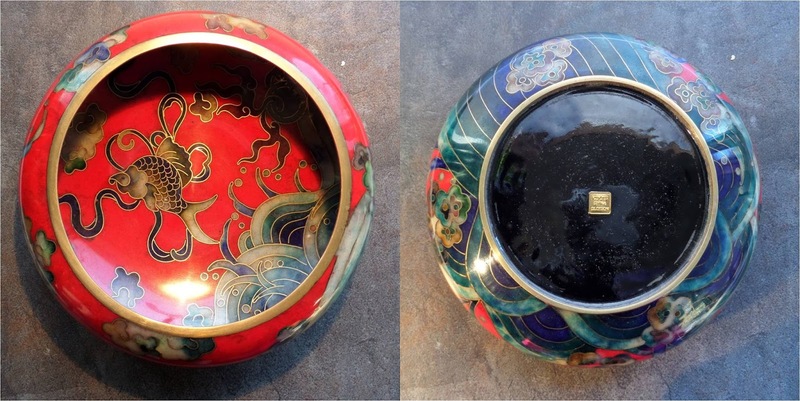 While pursuing his studies in Taipei, Kuo assisted his father in the creation of a cloisonne studio. A visit to the United States persuaded the young artist/entrepreneur that the American environment would benefit him, both personally and professionally. 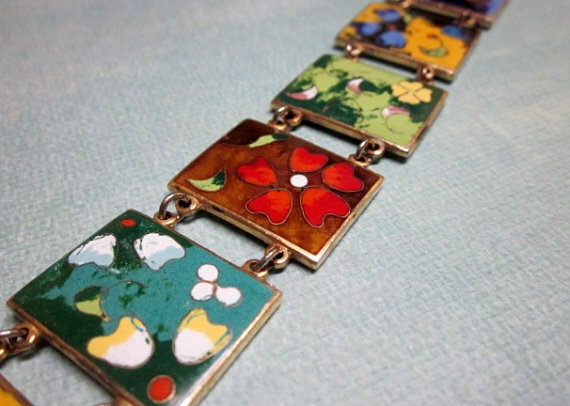 In 1973, he immigrated to the United States and opened a studio for cloisonne in Beverly Hills. Kuo cultivated a clientele that appreciated the way he "opened up" Chinese tradition. 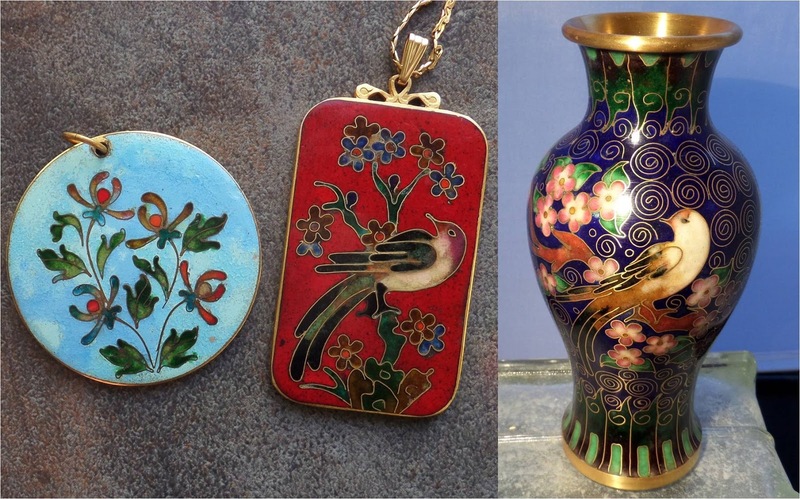 Utilizing the influences of Art Noueau and Art Deco, Kuo introduced new shapes, finishes, and objects to cloisonne. So what does this have to do with beads? 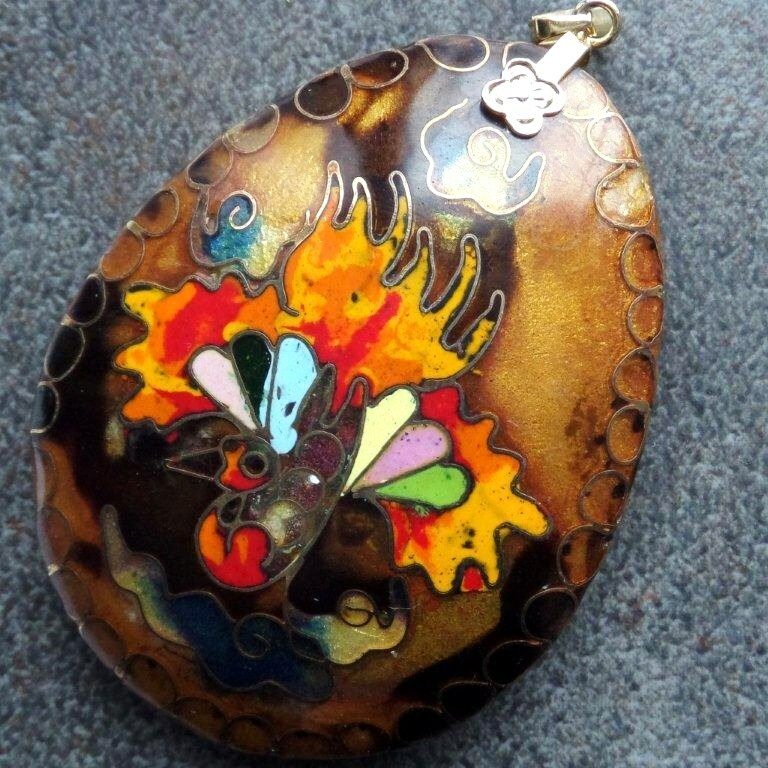 small German town to learn the art of cloisonne.